Time is precious, especially to bakers. The smallest problem can cause valuable lost time in production and that equals = MONEY. Plan a strategy that will help prevent breakdowns and ensure your productivity will keep going. Here is a list of monthly preventative measures for high-speed mixers you can do to help maintain production and prevent costly repairs in the future. Agitator-High Speed Roller Bars–Re-torque bolts. Replace as needed. Agitator-High Speed Roller Bars –Check for side-to-side motion. Agitator Shaft Bearings Check for undue noise, vibration, excessive heat. Bowl Mounting Re-torque all bolts. Canopy–Inspect all seals for damage or wear. Replace as needed. Hydraulic Tilt Cylinders–Manually grease rod ends. Motor Coupling–Check rubber element. Check set screws. Refrigeration System–Check for refrigerant leaks. Bowl Side Seals–Check for adjustment and wear. 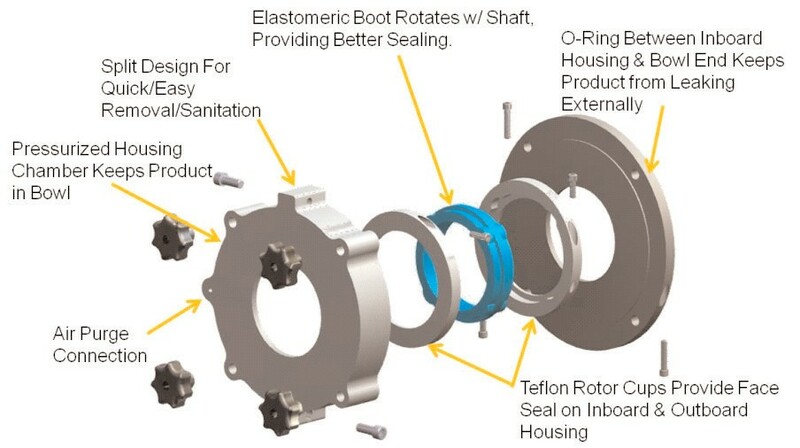 Sanitary Shaft Seals – Are they worth the added expense? Over the years, how many times have seal leaks affected your production? 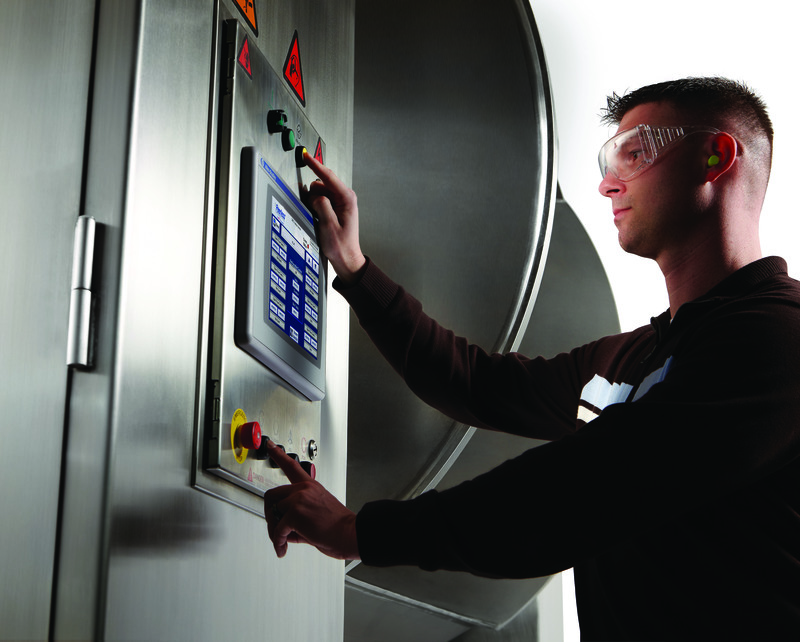 How many times have you had to stop a line because of contamination caused by leaks. How much money did that cost in lost production and downtime? If you stopped to think about it, I bet you would be amazed. 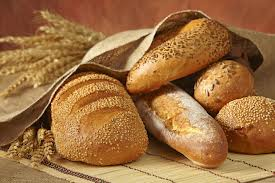 Bakers have accepted this nuisance as common industry standards. Our customers have said they want seals that do not leak. Quick and easy sanitation. Quick and easy maintenance and field retrofitable. The NEW Peerless Shaft Seals are designed to withstand the most stringent applications in mixing. 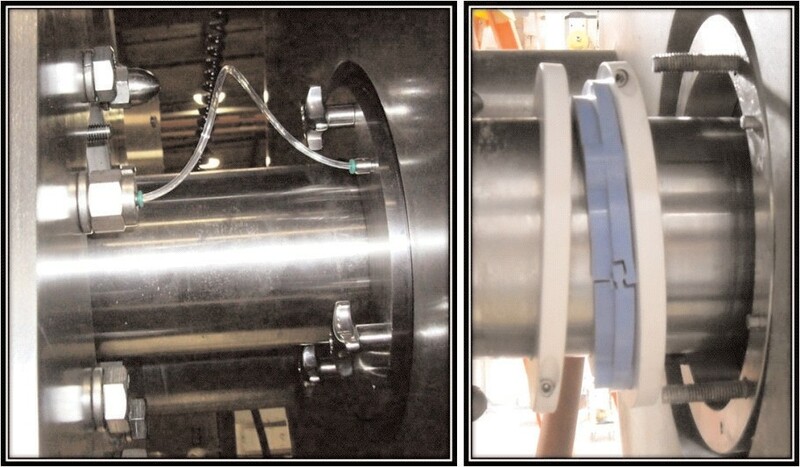 The Rotary Shaft Seals (available for both Horizontal and Vertical Mixers) are reliable and easily maintained. With these new seals, you eliminate the daily tasks of disassembly, cleaning and reinstalling of shaft seals. They provide almost zero maintenance for thousands of hours and prevents bearing and shaft failure. 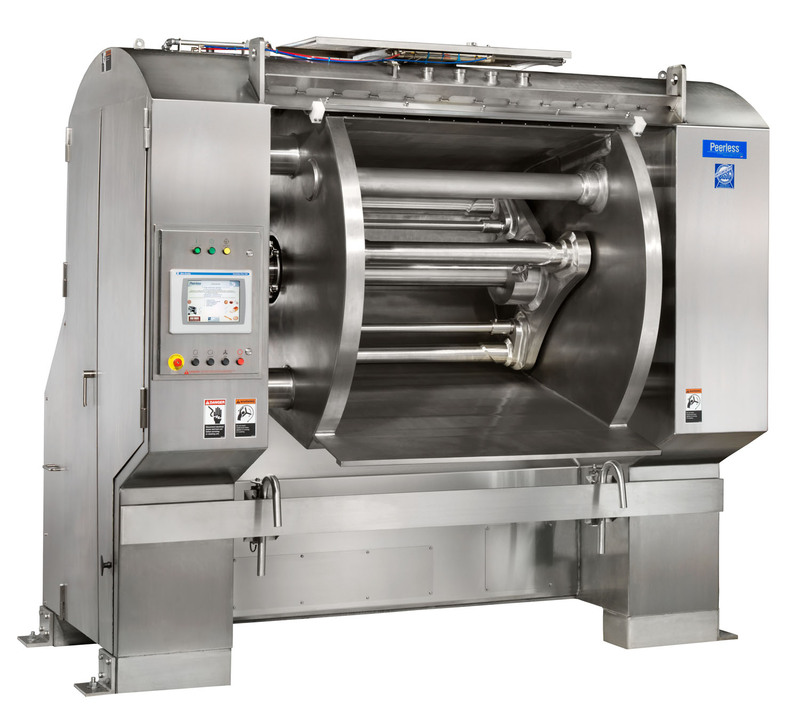 Sanitation is a key word in todays industry and on the mind of bakers around the world. Wtih the Sanitary Shaft Seals with Air Purge, you can see how this is invaluable.